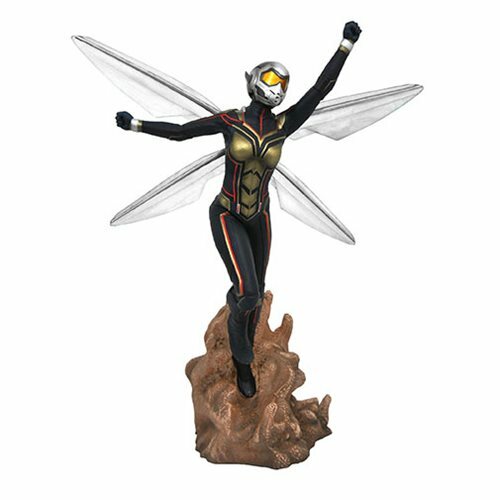 From the Ant-Man and the Wasp movie comes this Marvel Gallery Ant-Man and The Wasp Movie Wasp Statue. Wasp is displayed with her wings and is flying with her pair of wings. Wasp stands about 9-inches tall and comes packaged in a full-color window box.